Anyways, the thread will be merged back at a later date minus all the crap. i forgot what else i spotted. i used my brains to remember em but i didnt use my pen/hand to write them down..
That includes 6001. Lots of 60xx and 61xx also dont have GPS. The only reason I paid specific attention to this 6300 is because a former board member claimed that all 6300's had GPS. This proves him wrong. Also, I think most D40HF have GPS, (maybe all, I dunno). I know all D40i gots GPS'ers, cuz i havnt rode one witout em. I have gone a year without riding a D40 without GPS. I think they all got them. Of course one could be slipping through the cracks. Also it's the guy who was recently banned. EDIT: I changed it to D40 because that's it proper name. It's like calling you a name your not, like George or Tim. I have gone a year without riding a D40HF without GPS. I think they all got them. Of course one could be slipping through the cracks. 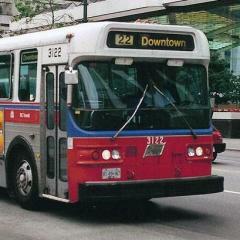 Maybe a Merivale bus. I mainly ride the St.Laurent buses, but rarely a Merivale or a Pinecrest bus. Yes they do, but their proper name is D40. 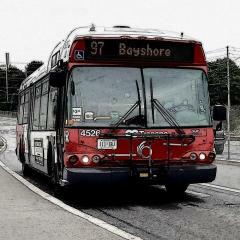 Don't make the same mistake that OC Transpo makes. But you can, not like I control you. Okay, I'll explain it, 3 Orion Vs (now 2) remain at St. Laurent since their retirement in 2007, the T6H5307N didn't remain around St. Laurent that long after retirement. So that is considered "Rushed out". Do you need it more clear or did I do my job here? The Orion V's are awaiting to be scrapped for $$$. Maybe people hates scrapping Orion product. my guess. im sure their was a reason to why the V;s are still their, cant remember. Well they are pretty much rusted. Not like they can be bought second hand. But I'm surprised no scrapping company has bought those 2. Metal is Metal to them. Maybe OC Transpo is saving both of them for parts. 4455 has been sitting behind the Cummins depot on Swansea Cres. for almost a month without an engine. i saw 95X at Bronson and Somerset today with passengers on it too! Also a 85 was pulled out of service probably due to some sort of emergency at Bronson and Gladstone. 8905 broke down this morning. 9211 does not have orange led destination sign. 4433 is still wrapped with University of Ottawa bus wrap. I saw it today at Place D'Orlean Transitway station. 9306 was seen on a tow truck.